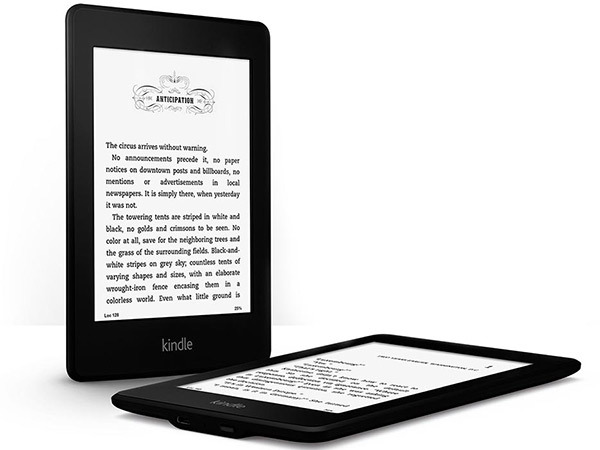 Amazon has been known to be the first to create e-reader devices for their users. These Kindle e-reader devices give users an amazing reading experience. The Kindle devices have become a rage to the extent that other companies like Apple are also emulating Amazon. Lately, Apple’s iPad has become popular which provides features like Kindle devices. Apart from the famous Kindle Fire HD, Amazon Kindle Paperwhite has also been launched which gives amazing performance and is cheaper to buy. This amazing device has a rubberized plastic body with a black finish and soft-touch back panel. It has a new capacitive touch sensor with a thinner bezel that makes it look slim. This stylishly designed tablet can be held with ease and looks fabulous. The Amazon Kindle Paperwhite has an e-ink LCD display that offers better contrast for enhancing the overall reading experience. It gives resolution of 212ppi which is higher in comparison with the 167ppi resolution given by earlier Kindle models. This ensures that the users get sharper text on the screen. The fact that this e-reader lets users to download and view PDF files becomes an additional advantage for it. There are many versions available for the Amazon e-reader device. The most popular version of this e-reader device is the Kindle Paperwhite 3G. Since, the 3G service is available at all times, this version lets users to download e-books quickly at anytime. Apart from the 3G version, the other version available is the Wi-Fi model that ensures that the e-books can be downloaded at no extra cost. This model is available at a far cheaper rate when compared with the 3G model. When it comes to battery, there is no device that can compete with the amazing battery life of the Amazon Kindle Paperwhite. The battery life of this e-reader device can stay for more than eight weeks. When used once every day with light at full power, the battery of this device can still last for as long as eight weeks. This device serves best for those who like to read books for longer period of time. This e-reader is considered the best e-reader devices and offers features that are far better than the earlier versions of Amazon Kindle. It has a very awesome physical design with a perfect finish that makes it look great and easy to handle. It provides amazing hardware and software which make sure that it gives splendid performance. This e-reader gives highest resolution known to any Kindle device. It also gives accurate brightness which can be adjusted by the user. So, the high-resolution screen coupled with impressive battery life and lightweight body makes this device worth buying. The Amazon Kindle Paperwhite has 212ppi resolution and adjustable brightness which enhances the user’s reading experience. Its incredible battery power and durable build make it a must-have e-reader device. Suraj is a tech geek, always on the move to know something more about gadgets that re-innovate the world, gadget and gizmos crazy, ardent ebook reader!